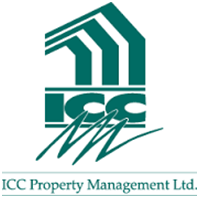 ICC Property Management is a property management firm with operations in the Greater Toronto Area. The company manages a diverse portfolio of properties ranging from townhouses to high rises and offers a wide range of management services making it one of the premier property firms in the GTA. I founded ICC in 1992 due to a void in the industry when it came to personalized, hands-on service with clients. With my experience as president of the board of directors of the Association of Condominium Managers of Ontario, I felt there was a unique opportunity to create a property management firm that put clients first. Because of these values, the company has grown over the years to become one of the most respected in the GTA and takes pride in its uncompromising integrity as well as an unwavering attention to clients’ needs. ICC offers a complete stable of property management services. Let’s take a look at some of the ways ICC serves its clients. Service areas. ICC manages properties throughout the Greater Toronto Area, specifically in Toronto, Markham, Mississauga, Durham, Brampton, and Scarborough..
Property Management Services. ICC offers condominium, commercial and residential/rental property management services designed to take away the burden of operations from the hands of owners while delivering best in class client services. Administration, ensuring that properties are properly managed from a financial and administrative standpoint. Procurement. By bringing multiple vendors to the table we can assist our clients with ensuring that their energy requirements are met as cost effectively as possible. Management. We help our clients manage their electricity budgets, understand the risks and opportunities in energy markets while helping them to manage their energy portfolios. Conservation. ICC assists clients in conserving energy by helping with retrofits and by conducting energy consumption audits with the ultimate goal of maximizing cost and energy savings. As a company dedicated to the welfare of its employees, ICC Property Management is proud to offer its Dream Foundation. As part of the program, employees confidentially submit an email outlining their dreams which are randomly granted by me. Seeing dreams come true is an ideal way to say thanks to our hardworking and dedicated staff while rewarding their loyalty. ICC Property Management has evolved into a recognized leader among the GTA’s property management companies and is the only one to have been awarded the distinction of ACMO Corporate Member of the Year. We pride ourselves in delivering outstanding property services and invite you to contact us to learn how we can help you manage your property portfolio. © Copyright 2015, All Rights Reserved. STEVEN CHRISTODOULOU.